Steven Gallagher adapted this musical (with help from composer Nicky Phillips) from his own play Memorial, which I fell in love with when it opened the As Written reading festival we helped produce back in 2015. 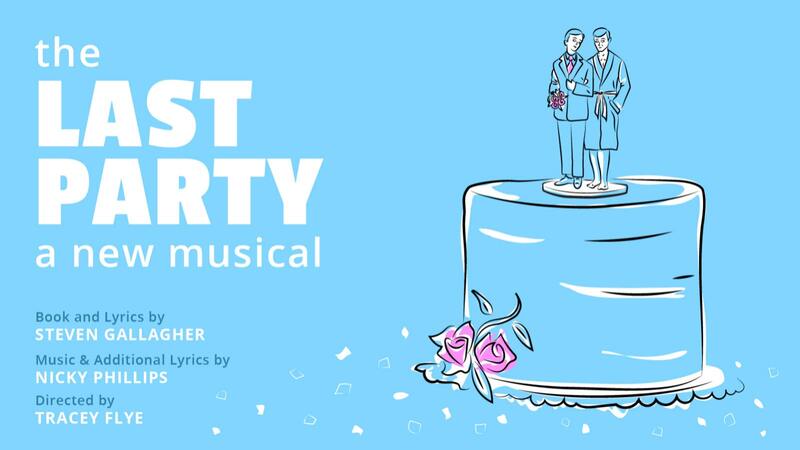 A tender three-hander about a too-young man dying of cancer with his partner and sister by his side, The Last Party succeeds for all the reasons Memorial did- great humour, brutal honesty, excellent character building that pays off by eliciting rivers of tears- though there isn’t much about Phillips’ songs that adds to the experience. This show earns the distinction of being the only play in history to make me both gag and cry in the span of just one hour. The beloved clowns’ wedding romp contains some of the most brutal gross-out food humour I could possibly imagine, detours through some truly stressful audience participation, and ends by striking a really sensitive nerve as Morro worries about being left behind when her sister says “I do”. I’m not the right audience for most of their hijinks and usually that would mean I assign someone else who will enjoy the whole journey to its fullest but I just can’t quit the beautiful catharsis of a Morro & Jasp ending and this one was a real emotional doozy so, if I have to watch Morro drink the spit bucket, I will watch Morro drink the spit bucket. This site-specific faux-seminar is broad and goofy but sometimes really gosh darn funny. Divided into three parts as three different speakers give the audience tips on money, health, and love, the seminar for which we’ve all supposedly paid $10,000 is a big scam that not-so-subtly lampoons such absurd phenomena as the (seems like a parody but is totally real) Wealth Expo that recently took over the Toronto Convention Centre. The commentary could be sharper and the first two segments could definitely use tightening but Morgan O’Shea’s performance as a lothario “love expert” is a showstopper packed with hilarious bravura and delicious commentary on alpha male nonsense and toxic defensive behaviour. This solo show is charming but unoriginal and ultimately pretty middle of the road. With a slightly clunky performance style and the awkwardness of an unseasoned storyteller, Yaw Attuah walks the audience through a few of the defining friendships and romances of his life, drawing the key conclusion that it’s important to know when to let some people go but never diving as deep into vulnerability as I wanted. The problem with this well-meaning play about a TV makeover show is that its precious conclusion is that reality TV is not what-you-see-is-what-you-get and it’s important to prioritize substance and silence the insecure voice in your head that tells you you’re not pretty enough. You should already know that. And the play itself is not entertaining enough to make the journey more important than the destination. Vapid and messy and derivative and draggy and overwritten and underrehearsed, Morning Buzz Live felt like the longest Fringe show in history but it was less than an hour.